With all of the classes I have lined up next year, I think it's safe to say that the start of 2011 is gonna be a real doozy! I'm not complaining though. I'm super pumped about it! 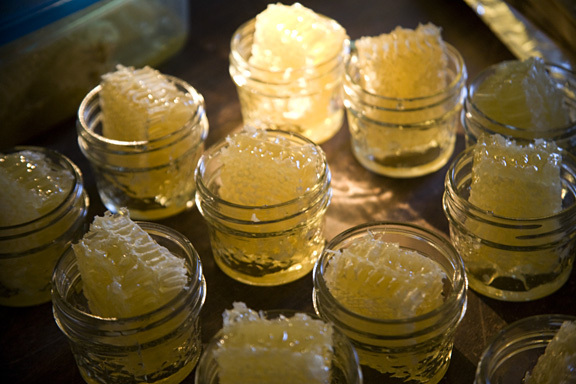 Next season is shaping up to be pretty busy and regular honey harvesting, shipping and delivery won't be an option due to time constraints. In lieu of trying to sell off excess honey at retail markets I am opting to supply folks in my community directly. 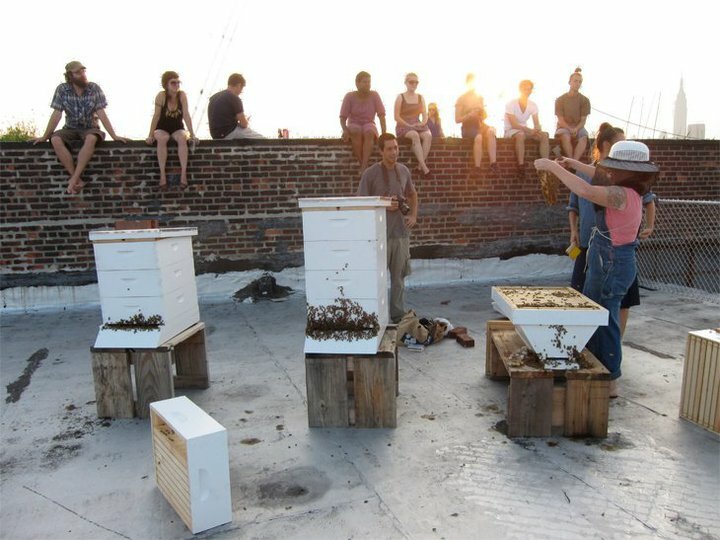 If you are interested in being added to the mailing list for the Brooklyn Honey CSA, please email me, the Beekeeper with the subject "Honey CSA" and once the total number of shares becomes available, you will be contacted with further details. Out of frugality, I'm constantly looking for new ways to produce tasty, fresh edible things at home. Spending money has quickly become my least favorite things to do (unless it's for a nice frosty glass of beer at a local watering hole) so when the ground that I usually grow food in outside begins to harden, I start to panic. I find that buying store-bought lettuce and the like inspires feelings in me that closely resemble defeat. It's important for me to feel like I'm beating the system in some small way, year round. So, being the lazybones that I naturally am, I gravitated first towards the simplest and most productive method of indoor growing: Sprouting. It requires only a few items you probably already have at home and some other things you can easily and cheaply acquire from your local natural foods store. There are many sprouting kits on the market today and truthfully, I find them overpriced and insufficient in the amount of sprouting seed they supply you with. I sprout with probably the most bare-bones method and I've always got a supply of tasty sprouts of a few kinds in the fridge that can be lovingly stacked upon any sandwich or salad. In the end, the costs are a mere fraction of what I would spend on supermarket sprouts and the result is more fresh, flavorful and alive. -an old pair of stockings, laundered of course! cut them into pieces that will stretch over the mouth of the jars easily. -organic seeds, grains or legumes such as radish, broccoli, wheat, rye, lentils or chickpeas. Seeds can be purchased in larger quantities through SproutPeople.com or your local health food store/co-op. Step 1: Wash the jars in hot soapy water and dry them with a paper towel. This will help eliminate some wild mold spores that you cannot see. Also rinse the stockings well in hot water right before using. Step 2: Pour enough of the sprouting seed or grain to fill the bottom of the jar, not to exceed about a half-inch. Sprouts expand a lot so if you want to make a bunch, divide them up into several jars. Step 3: Stretch the stockings over the mouth of the jar as taut as you can and screw the canning ring on over top of it. The result should be a fine mesh screen on the opening of the jar. Step 4: Fill the jar with water, about 3 times the amount of water than seeds. Step 5: Let the seeds soak for about 10 hours and then dump the water through the screened lid. Step 7: Repeat step 6 twice a day until sprouts reach the desirable size. This can take anywhere from 3-6 days. Step 8: Once the sprouts are germinated to the degree you would like, remove them from the jar and rinse them in cold water in a strainer before putting in a plastic bag or tupperware and refrigerating for use. Sprouts will last about a week and a half or longer. Enjoy them in soups, stir-frys, salads and sandwiches! They are a great source of protein and really easy to grow! Just remember to rinse twice daily during the germination period to prevent mold or bacterial growth.